NEWS ANALYSIS: Just days after the Norwegian government announced controversial plans to drill for more oil and gas in new areas of the Arctic, came news that Norway’s own carbon emissions have increased for the first time since 2010. The increase was blamed almost entirely on the country’s oil and gas industry but political and industrial leaders are undaunted and their message is clear: Norway’s oil age is far from over. The bad emissions news came on Friday, when state statistics bureau SSB reported that Norway’s emissions rose 1.5 percent from 2014 to 2015. The increase amounted to around 800,000 tons of carbon equivalents. He claimed the increase in carbon emissions, widely blamed for climate change and rising temperatures worldwide, could be blamed on those from oil fields that have been opened during the past decade. Helgesen seemed unconcerned about the consequences of even more new fields now opening up in the senstive Arctic. “There’s no conflict between the 23rd licensing round (which awarded field licenses on 57 blocks in the Norwegian- and Barents Seas) and the climate goals for 2030,” he insisted, contending that since the oil and gas fields lie within the EU’s quota system, “when emissions go up in Norway, the (oil industry) pays for quotas that can help reduce emissions in other areas of Europe.” He claims that the EU’s climate goals are the same as Norway’s within 2030, and that the agreement struck in Paris late last year allows Norway to adjust them upwards every fifth year. Environmental groups like Naturvernforbundet, Bellona and Natur og Ungdom scoff at such logic and want real emissions cuts to be made at home in Norway by restricting the oil industry, not letting it expand. The youth environment group Natur og Ungdom, which demonstrated in the park around the Royal Palace and at the government’s Arctic expansion announcement in Hammerfest last week, claims the Norwegian government has destroyed whatever climate credibility it might have had earlier. 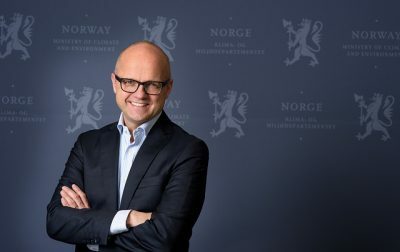 Helgesen’s ministry responds that Norway is concentrating on five areas in its climate policies: Carbon capture and storage, investment in renewable energy, incentives for more climate-friendly transport in Norway including more investment in public transportation, railroads and bike lanes, “green” shipping and lower emissions from industry. Oil industry executives, along with political and business leaders in Norway’s far north who see economic growth potential from oil drilling in the Barents Sea, remain bullish. “The oil sector is cyclical and plagued by large, historic swings,” wrote Steinar Riise, chief executive of Ocean Installer, in newspaper Dagens Næringsliv (DN) on Saturday. Despite some tough times lately since the price of oil plummeted, “the oil age (in Norway) is not over.” Riise also noted how oil prices have risen in recent weeks, and some companies like oil service firm Malm Orstad at Klepp in Western Norway are hiring again, or bringing back workers laid off last year. “We’ve brought back all 20 of those we put on furlough, we’ve hired four more and are set to hire another two,” Lauritz Haringstad, chief executive of Malm Orstad, told DN. 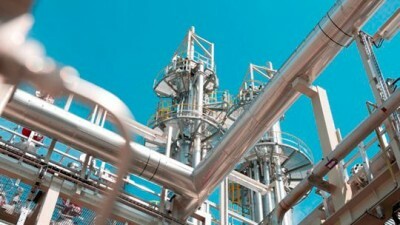 Increased activity in the company’s oil service sector is the reason. Riise believes the oil and gas sector is “rising up again” from the slump it’s been in, claiming that electric cars remain a novelty outside Norway, that new technology won’t replace the need for transport, and that wind turbines and solar panels will only make a “modest” contribution to fulfilling global energy needs.